Home FleetWatch 2011 Cleaner Fuels – when and how? Cleaner Fuels – when and how? Vehicle manufacturers want to bring to the market cleaner burning engines thereby making a further contribution to improving fuel consumption. With time running out, the Department of Energy (DOE) has still to finalise the questions of a cleaner fuels strategy, increasing refinery capacity or importing refined products as well as decide on a carbon tax strategy. These are immensely challenging decisions that need to be taken soon if South Africa is to remain competitive and capable of growing the economy, assuring fuel safety and fulfilling our role as the largest economy in Africa. The motivation for manufacturers of commercial vehicles to promote better productivity and transport efficiency as described at the beginning of this issue is a natural and somewhat overdue development.It is, however, surprising that it has been left to commercial vehicle manufacturers to initiate what logistics services companies, third- and fourth-party service providers and fleet owners should be doing for themselves. Not even the better organised transport Associations in the UK, US and Australia – let alone our own organisations – have stepped up to the plate when it comes to stumping for better transport efficiency.It should be noted that the fundamentals of transport efficiency are embedded in the Road Transport Management System (RTMS), a management system that enables operators to become competent as self-regulated fleet owners. Over the years, the RTMS has struggled to gain widespread acceptance in South Africa , once again with a notable absence of support from organised transport. The absence of consistent and predictable traffic law enforcement has not helped in promoting the benefits of self-regulation. Only now, when faced with growing pressures how to take road transport forward, do we see the DoT promoting some exposure to the merits of RTMS. Improving transport productivity and efficiency is not rocket science and is no stranger to this writer. Together with Hugh Sutherland, former technical manager at the RFA, and Bill Factor, the then well-known maintenance wizard at Cargo Carriers back in the 1980s, we launched a series of workshops under the title of Transport in Perspective. 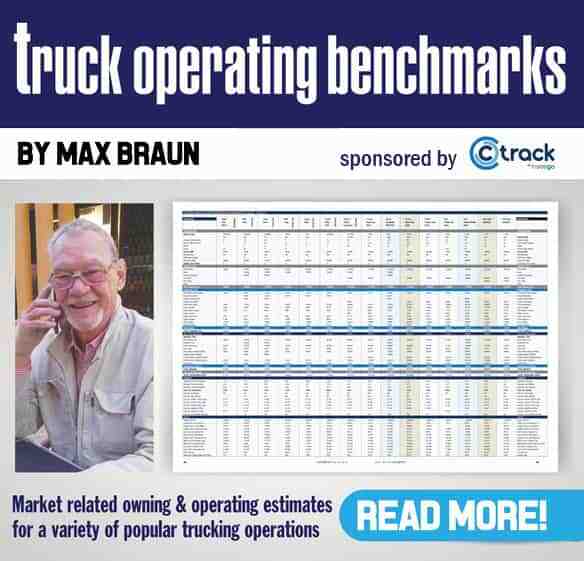 It has been the focus of the FleetWatch workshops Roadmap to More Efficient Trucking for the past five years and has been the editorial in the FleetWatch Mass and Dimensions booklet for the past two years. It is important to clarify and understand why commercial vehicle builders are motivated to commit their respective resources to provide a range of fleet management services to their customers, new or existing? Consider the massive amount of time and money truck builders have spent in getting the current truck models super-efficient in terms of performance, capable of maintaining unheard of average speeds over almost any topography. 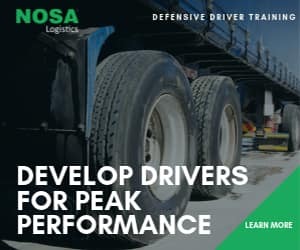 These are vehicles that offer exceptional fuel-efficiency, stretched service intervals, optimum payloads in terms of regulations, longer driveline useful life and the benefits of lower lifecycle costs. The road to realising these phenomenal vehicles includes a massive reduction in emissions associated with internal combustion engines often ahead of regulatory requirements. The motor industry has brought along with its developments improved tyres, suspension and a host of safety devices. Having now arrived at this monumental destination where they are committed to ongoing further improvements to fuel efficiency and emissions, it brings home the cold fact that it is essential to ensure the sustainable success of these economic and ecological improvements. These vehicles must be properly employed and correctly operated at all times lest the hard won expected benefits fail and evaporate in the vapour of emissions. Based on a detailed assessment of the transport task at hand, a competent applications engineer chooses the vehicle with the best specification to undertake the haulage with a vehicle configuration that will provide the most economical performance over the best route. To ensure the payload is optimised, mass distribution and load placement will be optimised. Average speed to complete the round trips will be in good time. Based on the assessment of this transport task, the maintenance requirements are taken into account. Service intervals and content is documented and the maintenance schedule for the first year is compiled and communicated to all concerned. A driver is chosen and trained to drive the vehicle specifically spec’d for the task along the route as determined by a competent route planner. The driver is trained and retrained in the vehicle. Via the telematic system, the driver’s skill, attitude and habits are monitored and used to improve his skills where applicable. Drivers are in communication with the control centre for on the spot advice and encouragement. Maintenance is organised and planned with workshops best located to homebase. Work is undertaken by properly trained technicians with all the necessary tools and diagnostic equipment. Maintenance is scheduled and takes place when it should. The telematic system provides reports at agreed intervals. The system monitors all movements of the truck and the driver. Comprehensive information is available to improve all or any aspects of the operation. Meetings with transport controllers assist in maintaining the productivity and efficiency levels. The reports include regular feedback on fuel consumption and the ongoing carbon footprint that is measured in grams per kW-hour. Fleet managers are informed and kept up-to-date with all the vital factors of the operation. The most likely outcome is a more profitable operation due to optimum payloads being achieved more frequently and via the elimination of unnecessary and unwanted kilometres , a most wasteful and expensive problem in most transport operations. Maintenance costs are lower and there are fewer accidents or incidents due to better driving standards. Operators gain more of the benefits inherent in modern trucks. Ecolution by Scania will at a future date come to South Africa. However, you do not have to wait if you are confident you can do this on your own relying on your own competence and soliciting the advice and where necessary, the assistance of your service providers. Achieving better levels of transport efficiency is fundamental to ongoing success in the future. Failure to introduce an RTMS management system into your business if you do not already have it is certain to make you uncompetitive. Due to high operating costs, it will also make you unpopular with green clients and open to emission taxes and fines. caption 1 – Driver Training: Teaches drivers to use the vehicle and its controls as safely and efficiently as possible. caption 2 – Hill driving: Evaluates how the accelerator pedal and vehicle’s momentum are used in varying topography. Way back in April 2010, the DOE told parliament that following discussions with the National Association of Automobile Manufacturers of South Africa (NAAMSA) and the Sout African Petroleum Industry Association (SAPIA), a strategy for cleaner fuels would be announced by December 2010. At the time of writing, other than eager anticipation of an imminent announcement, there is no reliable indication of when the DOE will announce what it calls their commitment to improving people’s health and improving the performance of petrol and diesel engines. Deciding on the specifications of cleaner fuels to meet the country’s needs should be a fairly straight forward matter once NAAMSA has indicated what its members will require in terms of sulphur content, particles and other relevant factors to suit the Euro 4 and Euro 5 technology they are champing to introduce. This is the vital step that needs to be taken before SAPIA can address the question of how best to upgrade some – or all , of the existing local refineries or support the building of a new mega refinery or even a combination of both options. Whatever is decided, it will take at least five years from the time all the ducks are in a row and gaining access to billions of Rand to make it happen. This, of course, is not as simple as it sounds. There are numerous questions to be addressed including: fuel security, transport and distribution , particularly for Gauteng and North West where a large share of the liquid fuels market must be assured. Then there is the agonising choice government must make as to whether it should support the PetroSA project to build a 400 000 bpd refinery at Coega, or choose to go in the opposite direction that foresees major upgrades of at least some of the existing refineries and importing refined products to cover the shortfall in meeting the country’s needs. South Africa already imports a few billion litres of refined diesel every year to meet existing demand. The nature of South Africa’s economic structure and development creates a significant demand for diesel far away from the coast. Most of the refineries are located at the coast, close to where imported crude oil can easily be transported or transferred to a refinery. There is an existing pipeline from Durban to Gauteng. This aging pipeline is capable of transporting refined products or crude oil. However, it is showing severe signs of stress and is presently operated at below the optimum level. A new pipeline is under construction between Durban and Johannesburg but is a long way from completion. A new pipeline is under construction but has encountered delays and has a long way to go before it can be commissioned. BPSA and Shell Oil, joint owners of Sapref, are said to have approached the DOE to reconsider the PetroSA’s 400 000 bpd project and rather invest in Sapref, thereby creating a joint venture with government to upgrade the facilities to introduce cleaner fuels. BPSA has for some time promoted the notion that excess refining capability in China and India will provide ongoing access to importing refined product. Followers of FuelWatch will recall the question of ‘˜refine or import and store’, has been discussed in previous issues. However, with the efflux of time, the need for the DOE to put this issue to bed has become a priority. As the South African economy recovers and several neighbouring countries show impressive GDP growth, the demand for diesel will grow. The BPSA stance presupposes that the PetroSA refinery would make the country a net exporter of refined product at a time when there is likely to be a glut of refined product from various sources including some in Africa. BPSA also believes the cost of a large local refinery cannot be economically justified. However, creating sufficient local refining capacity says a lot for ensuring fuel security. PetroSA say it can go to the markets in search of investors. China has already indicated it would be an interested player. Increased local refining capacity would inevitably reduce BPSA’s and other oil majors’ market shares from both their local refineries and the opportunity to import refined products. Various vehicle importers are not happy with the slow progress towards finalising the cleaner fuels strategy. They want to get on with bringing to the market cleaner burning engines and making a further contribution to improving fuel consumption. 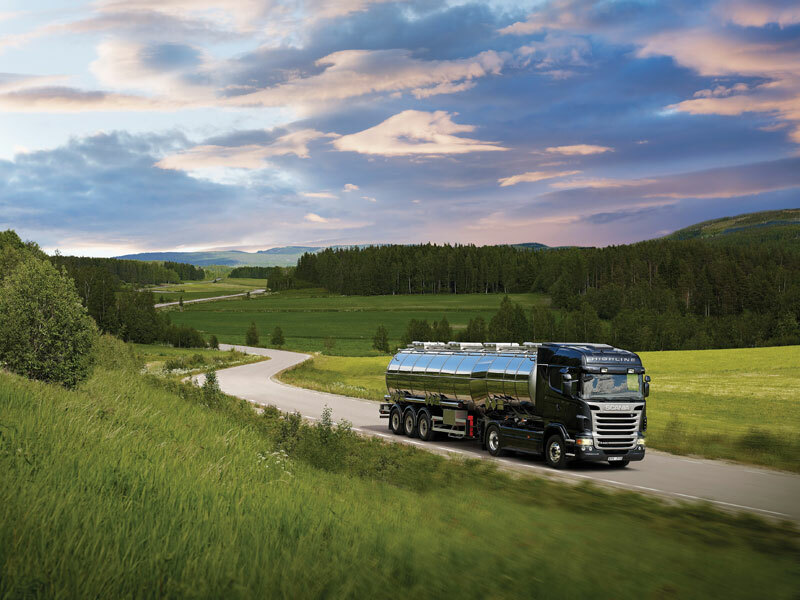 This is so much so that Scania has introduced Euro 4 technology that operates well on our current 50 ppm diesel. Mercedes-Benz has introduced some Euro 5 powered trucks to demonstrate the benefits of the AdBlue technology. The DOE, in finalising its decisions, needs to focus on what is best for the country and the future of our economy by including the input and commonsense of those that drive the logistics, transport, agricultural, mining and construction industries and not be confined to two of the most powerful agendas in the world.